Poland is the first country of the former Soviet bloc to be considered a “developed market.” It’s packed with history, culture, a surprising amount of doughnuts and it’s very affordable. Kate and Will even headed to Warsaw for a royal tour. To describe Poland as “up and coming” would be an understatement. The recent opening of the 5-star Raffles hotel in the capital sets a new standard of luxury in one of Poland’s most historic buildings. When you’ve settled into your luxury hotel it’ll be time to explore the city. By Warsaw’s central station you’ll see the Palace of Culture and Science, a vast Soviet building that harks back to Poland’s dark past. Today it houses a cinema, theatres, a university and a swimming pool. In the Old Town, you’ll see many eye-catching buildings. Sadly, this whole city was destroyed during WW2, so everything you see was rebuilt over the last seventy years. Sometimes Warsaw is referred to as the Phoenix city. At the celebrated Museum of the History of Polish Jews you can discover Poland’s Yiddish past. You can also visit the Warsaw Rising Museum. Head over to the Praga neighbourhood and discover a modern hipster haven. Also, follow the Royal Route to see many of the key historic sites. Take a train to Torun. Check into your hotel and visit Old Town Market Square and its charming Old Town. This is the birthplace of Nicolaus Copernicus. You can visit the Medieval streets where he was born. See the Leaning Tower of Torun and check out the remains of the Teutonic Castle. Torun is a great place to try some Polish dumplings. 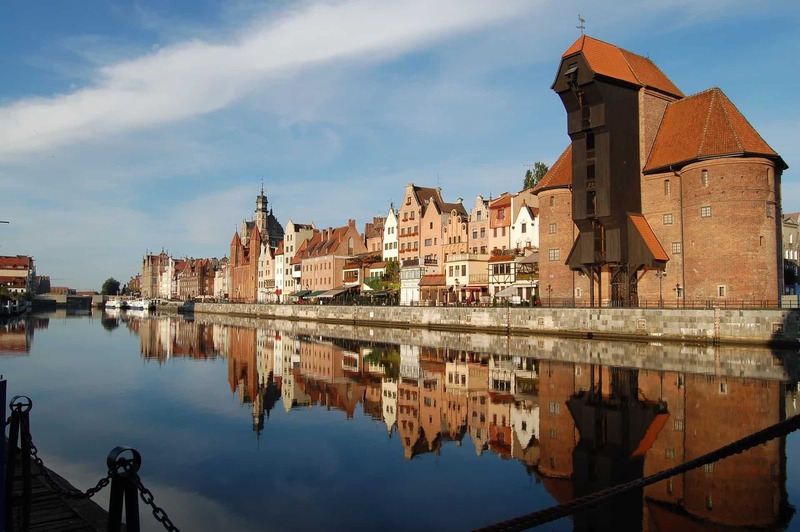 Take a train to Gdańsk and stroll the Long Lane along the centre of the city. On Beer Street you can have a beer, oddly enough. Depending on the weather, you can head to the beach or visit the world’s largest castle, Malbork. You’ll be travelling north to Wrocław. As this will be a longer journey so enjoy an evening at leisure. The following day, set out on a guided walking tour of Wrocław and discover the Fair Market, the Royal Palace of Wrocław and many churches and cathedrals. Keep an eye peeled for bronze gnomes. There are hundreds dotted around Wrocław. Kraków is a charming medieval town that’s full of history. Unlike Warsaw, much of that history is preserved. There’s also a lively hipster scene to explore, such as Tytano just off the main square, retro gay bar Lindo Cafe and, if you want to step back in time, Mercy Brown bar – it harks back to the decadent cabaret scene of the 1920s. Check out the bohemian Kazimierz area, once the heart of the town’s Jewish culture. You can also make your way over the limestone cliffs of Zakrzówek and enjoy some of the best views in Poland. Return to the capital city for a final day of sightseeing.